Susan's Craft Room: Cards using Dapper Denim - My Favorite Retiring "In Color"
Cards using Dapper Denim - My Favorite Retiring "In Color"
Dapper Denim is the one retiring 2015-17 In Color that I am going to miss. I made sure I purchased a full pack of card stock and an ink refill to have on hand. Below are two cards I've made using Dapper Denim as the focus. 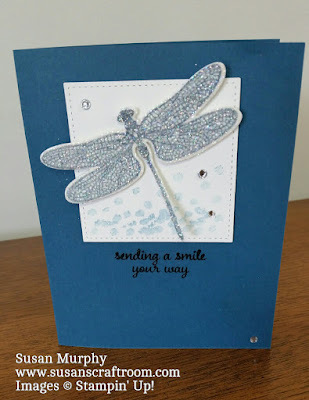 I love the Dragonfly on this card. I first stamped it using the Dapper Denim stamp pad. To make it shimmer & shine, I tapped it with versamark all over and poured Heat & Stick powder over the entire dragonfly. Then I heated it briefly until it started to shine. 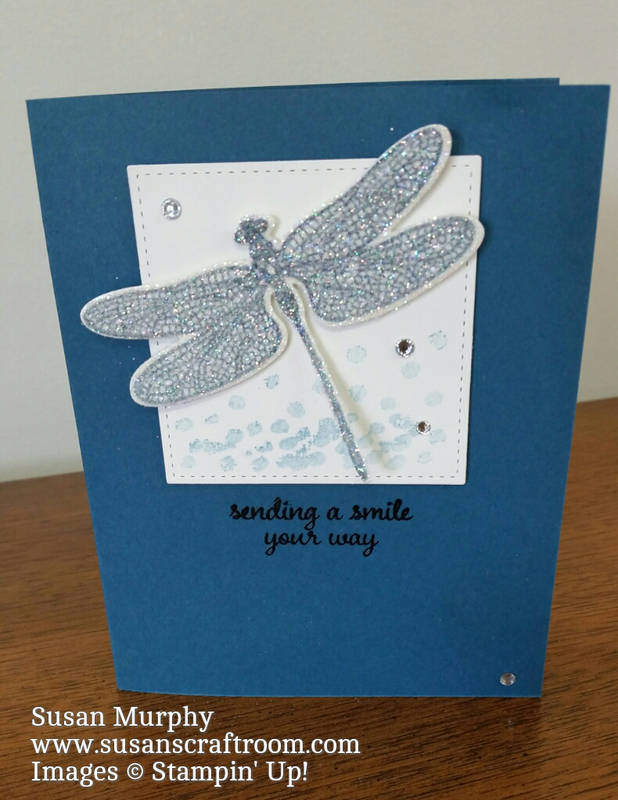 Finally I sprinkled the dragonfly with Dazzling Diamonds Stampin' Glitter. Very simple and it is beautiful!